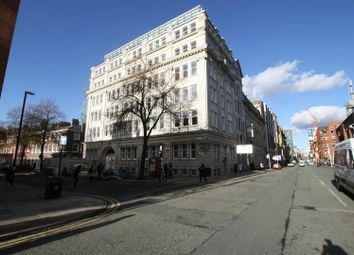 The Residence is an exclusive development situated on the corner of Deansgate at St John Street. 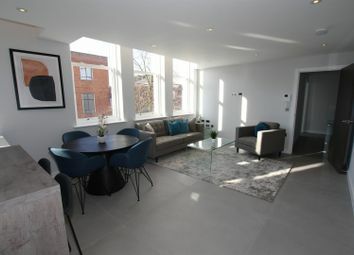 With only 10 apartments in the development this is a rare opportunity to purchase an exclusive apartment within an extremely sought after address. 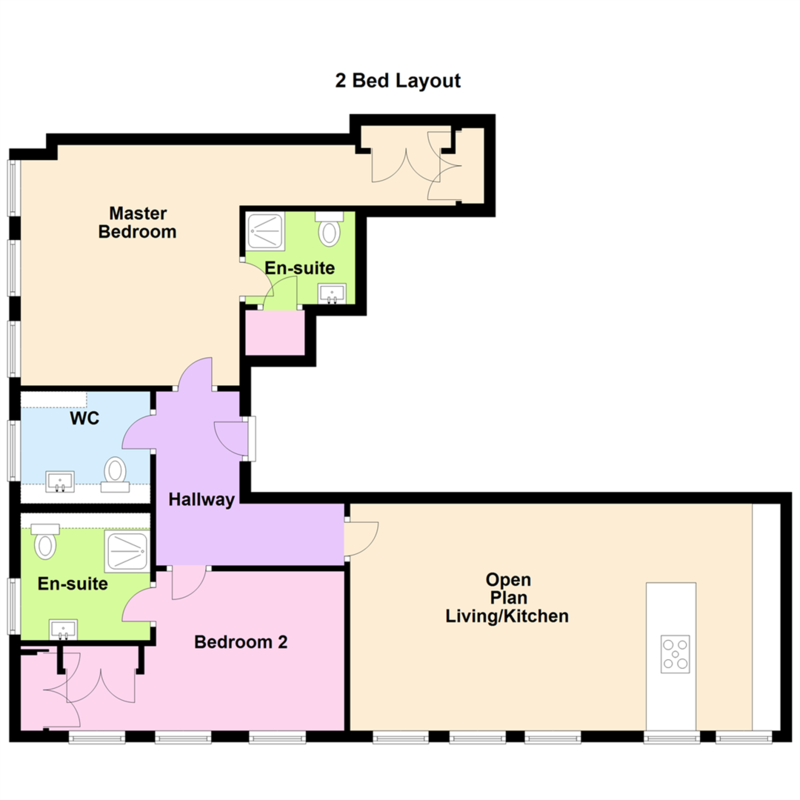 We currently have 2 x two bedroom units remaining. Viewings highly recommended. The Residence sits adjacent to the St John Street Conservation Area. The boundry of the concervation area follows Artillery Street, Longworth Street, Culvercliffe Walk, Lower Byrom Street, Quay Street & Byrom Street. St John Street has changed only in minor ways since being built. Generally owners have ensured that regular maintenance had preserved the quality of the street. However in 1963 a facelift, partially funded by the City Council was carried out which involved replacement of incompatible items such as windows and nameplates. Painting of Timberwork help re-establish a consistency throughout the street. First impressions count, and there's not many more impressive than The Residence on St. John Street. Spatial, open plan living, expansive windows allow you to watch as the city and it's people move by at a pace. Whilst you relax, put your feet up and enjoy all the space you could possible need. 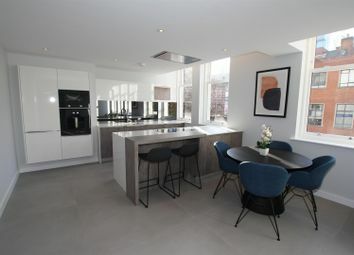 The kitchens have been fitted with a premium range from Rempp and include a Infiniti Quartz worktop 20mm with build in breakfast bar, integrated appliances include Gagganau Hob, microwave, oven/grill, dishwasher, fridge/freezer. 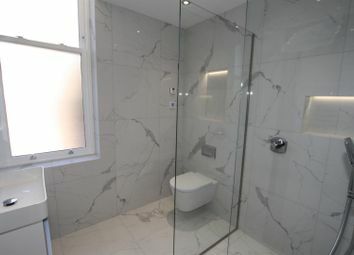 Integrated washer/dryer, Franke sink with Quooker tap. 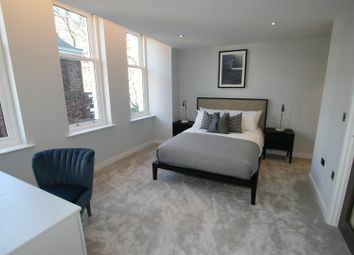 Both bedrooms have fitted wardrobes & storage from Cheshire Bedrooms. 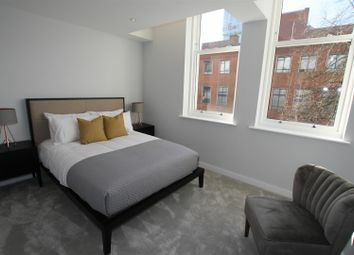 Carpeted, with ceiling spotlights which can be controlled with an IPad, provided to all buyers on completion. 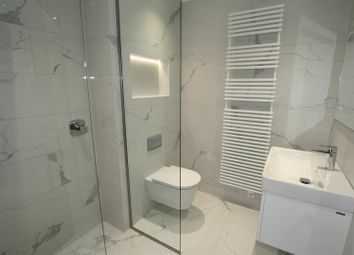 The en-suites are of the very highest quality with Laufen, Roca & Grohe featured throughout and contemporary white sanitary-ware, chrome finished taps, drench showers and heated towel rails. 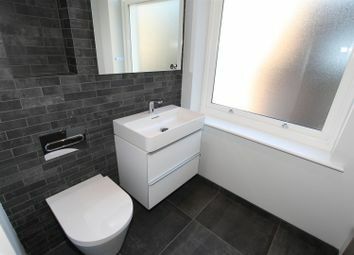 There is also a further WC for guests. The apartments within The Residence are being sold on a 150 year lease. The ground rent is £500 per annum and reviewed by rpi index every 10 years. The service charge will be set at £2500 per two bedroom apartment per annum and £3500 for a three bedroom apartment. Residents contract car parking is available in the Great Northern Warehouse at a discounted rate of around £1068 per annum for owners at The Residence. Maximum of two spaces, but can be used at any Manchester City Centre ncp car park.